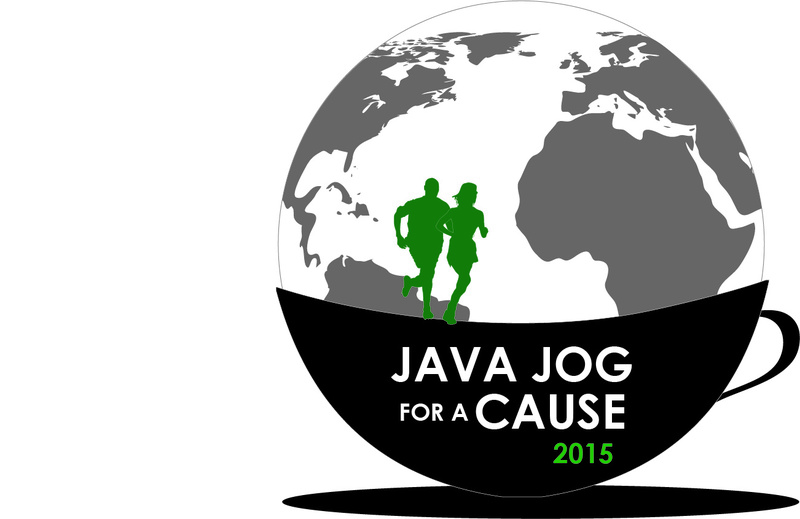 JavaJog for a Cause | fun, fitness and coffee all for a great cause! JavaJog 2017 Award Recipients Announced! After much deliberation, the JavaJog Grant Review Committee selected three projects to receive funds collected through the 2017 Seattle race. The projects support the creation of an organic farmers market in Nicaragua, a coffee seedling nursery in Rwanda, and a coffee processing and distribution center in Ecuador. The 2017 Grant Review Committee recommended the allocation in funds in line with JavaJog’s Grant Protocol, which requires separation of the project review and evaluation process from the JavaJog Organizing Committee. The members of this year’s committee were: Charlene Lewey of King Arthur Flour (formerly of Green Mountain Coffee Roasters), Ben Schmerler of Root Capital and Katherine Nolte of Sucafina. The proposals are scored along six key criteria. JavaJog 2017 is please to recognize the three winners! In Nicaragua, the SOPPEXCCA coffee cooperative is embarking on an ambitious new venture: to bring organic vegetables and fruit grown by women cooperative members to the residents of Jinotega, Nicaragua. This first-ever organic farmers market, run by SOPPEXCCA, will provide a healthier alternative for the 100,000 people living in the area, while delivering opportunities for coffee farmers to diversify income and improve nutrition for their own families. JavaJog has allocated $7500 to Food 4 Farmers to implement this project in partnership with SOPPEXCCA. The Rusave Coffee Cooperative in Rwanda will receive $5096, to work in collaboration with The Kula Project to build a seedling nursery to house and cultivate 35,000 coffee tree seedlings, and distribute coffee trees to 150 women coffee farmers, as well as provide agricultural training on the planting and maintenance of coffee trees. In Chaucha, Ecuador, El Grupo de Mujeres (EGM) or ‘The Women’s Group’ aims to increase the economic resiliency of the residents by supporting a collaborative, community-wide and women-led project of income generation and job creation. JavaJog has awarded $5404 to The Chain Collaborative (TCC) to support EGM to build a processing and distribution center for quality coffee that will provide farming income to residents of Chaucha and surrounding communities and build job security for women and youth for years to come. The 2017 JavaJog was made possible by the support of generous sponsors: especially our Platinum Sponsor, Metad and Gold Sponsor, Baratza. Other sponsors included: Equal Exchange, Cascade (Silver), and Marco, Equator Coffee and InterAmerican Coffee (Bronze). Sponsorships cover 100% of the costs for the race and a professional race organizer to ensure a high quality experience for the participants. This way, 100% of race registrations and funds raised can go directly to the JavaJog cause of supporting the efforts of coffee farming women around the world. More than 120 runners and walkers gathered along the shore of Lake Union on Friday, April 21st for 5K and 10K races. In all, race registrations, individual fundraising efforts (top fundraisers were Elizabeth Goldblatt ($3315), Baratza ($1425) and Kimberly Easson ($900)), and a generous $3000 contribution by Starbucks brought the total amount of funds to be awarded to $18,000. JavaJog will be providing progress reports on the projects as they get underway. Thank you everyone for your hard work to make this possible! Stay tuned for more details about the 2018 Race planned for Seattle Expo! JavaJog 2017 Grant Review Process Underway! JavaJog is pleased to announce the members of the 2017 Grant Review Committee and the proposals currently under review. Charlene Lewey, Director Trade Promotion Management, King Arthur Flour: Charlene is responsible for driving trade promotion strategy and managing all facets of the trade promotion process including post promotion analytics, process optimization, supporting technology and deductions management. Previously she worked at Green Mountain Coffee Roasters (now Keurig Green Mountain) where she was Sr. Director of Order to Cash processes. She has also served as Treasurer on the board of directors for the International Women’s Coffee Alliance and was formerly the Chairperson of the Board of Food4Farmers. 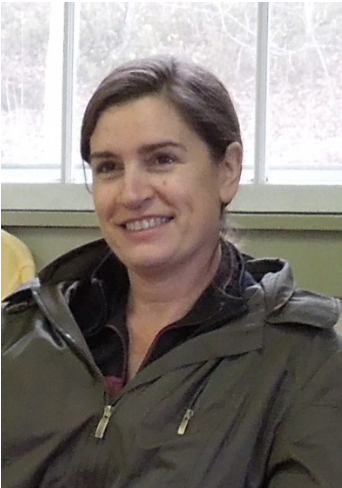 Katherine Nolte, Coffee Trader and Sustainability Coordinator, Sucafina: Kat has background in coffee trading and finance, international business strategy advising, and green coffee supply chain development with a specialization in East African coffee. She recently opened Sucafina’s West Coast quality lab in Seattle. Kat is Vice Chair of the Sustainability Council of the Specialty Coffee Association. 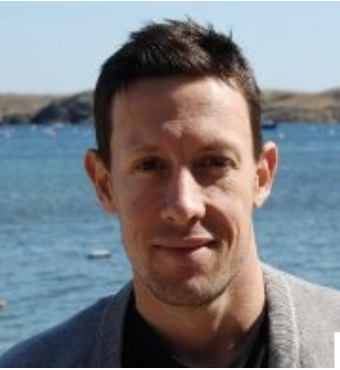 Ben Schmerler, Senior Director Philanthropy, Root Capital: Ben is responsible for overseeing all philanthropy fundraising, building relationships and engagement strategies with existing and potential donors, investors, government institutions and value chain actors. He provides management, oversight, and leadership towards achieving Root Capital’s strategic objectives. Previously, Ben was a senior global supply chain manager at Fair Trade USA, and he has spent many years working and bicycling across the planet. Ben is member of the Sustainability Council for the Specialty Coffee Association of America (SCAA) and owns a small espresso bar in Boston. He holds a B.A. 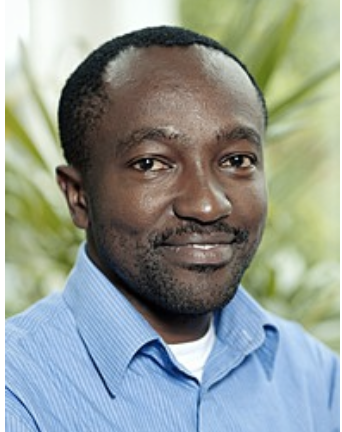 in environmental policy and political science from the University of Washington and speaks French, Spanish, and Wolof. Stay tuned for the announcement of the grant recipients! JavaJog 2017 Results Are In! Grant Proposals Now Being Accepted! Another successful JavaJog in Seattle brought together nearly 100 runners and walkers for fun, camaraderie and a great cause April 21st at South Lake Union Park in Seattle. Thanks to our valuable sponsors and many volunteers and fundraisers, JavaJog 2017 raised $18,000 which can now be allocated to projects that invest in women in coffee producing communities around the world. Top fundraisers this year were Elizabeth Goldblatt ($3315), Baratza ($1425) and Kimberly Easson ($900). Starbucks made a $3000 contribution to the cause, and race registrations for nearly 100 runners and walkers brought the total funds raised to just under $18,000. Grant proposals are being accepted through June 21st. Please find the application and information about the process here. March, 2017 – After a one year hiatus, the Java Jog for a Cause event is back in Seattle and ready to welcome coffee aficionados, runners, walkers and friends for this annual fun run and fundraiser. Since 2013 Java Jog for a Cause has raised more than $75,000 for women in coffee growing communities in Ethiopia and the Democratic Republic of Congo. This year, Java Jog organizers are pleased to announce that the theme for the 2017 run is Global and encourages women’s groups from around the world to apply for the money that is earned through this year’s race. Over the past 4 years, the impact of both larger and smaller grants has been tremendous — from the support of the International Women’s Coffee Alliance in the DRC, who directly supported the Tuungane cooperative to help construct their first washing station in 2014, to our grant to Girls Gotta Run in Ethiopia, which provided Athletic Scholarships for girls and micro-business grants to each of their households, while directly impacting nearly 150 family members in the Wolita coffee-growing region of Ethiopia. “We are really proud of the grants we have supported and the women’s groups that are putting the funds to great use,” adds Caspersen of their progress. Volunteer on the day of the race: Sign up here, to help out on race day. Sponsor a runner: Visit the Crowdrise site and sponsor a runner. Give us a shout of support and spread the word on social media, @javajog, #javajog2017! Don’t forget to pack your running shoes! JavaJog returns to Seattle this April in conjunction with the SCA Global Specialty Coffee Expo. Since 2013, JavaJog has brought together hundreds of coffee aficionados, runners, walkers and friends to raise more than $75,000 in support of coffee women in the Democratic Republic of Congo and Ethiopia through local organizations on the ground. After a year hiatus, the JavaJog organizing committee is committed to producing another great fun run and fundraiser. JavaJog 2017 will be held Friday, April 21st at South Lake Union Park in Seattle and will again focus on raising money for women in coffee growing regions from around the world. “This year’s goal is to welcome 250 runners who will collectively raise $25,000 for projects to support women throughout the world,” explains Kimberly Easson, a JavaJog co-founder. “We are confident that our mission to connect women to the coffee community and funnel resources to projects that enable them to improve their position, their well-being and that of their families, farms, communities and organizations, will be met,” she added. Adding to the race-day fun, will be Marcus Boni, who will join us again this year as the emcee. Boni is sure to have a few tricks up his sleeve, but expect to get ready for the race with a little pre-race warm ups and a few heats of our popular coffee bag sack races. Race-day coffee will be available, as will other vendors. Be sure to challenge your friends and colleagues to make this the biggest and best JavaJog event ever — set up a lively competition for the fastest runner, craziest costume, or highest fundraiser. Established early in 2013 by Kimberly Easson, Beth Ann Caspersen, and Aimee Russillo. The Founders’ Run was held in Boston with 15 runners and raised $7500, which was donated to the women’s committee of the Sopacdi farmer’s cooperative in South Kivu, DRC. JavaJog 2014 raised more than $35,000 for coffee-farming women in the Democratic Republic of Congo. The $23,000 raised in the 2015 JavaJog for a Cause has been awarded to two organizations working to better the lives of women in coffee growing communities in Ethiopia: Grounds for Health in partnership with Sidamo Coffee Farmers Cooperative Union, and the Girls Gotta Run Foundation. Join us again this year at South Lake Union Park for fun, camaraderie and a great cause! Race start times are 7am for the 10K, and 7:30am for the 5K. Start your fundraiser or support a runner at the JavaJog Crowdrise page. JavaJog returns again to Seattle this April in conjunction with the annual Expo of the Specialty Coffee Association of America (SCAA). Join us Friday April 21st at South Lake Union Park ~ race start times are 7am for the 10K, and 7:30am for the 5K. This popular SCAA event has brought together hundreds of coffee aficionados, runners, walkers and friends to raise more than $75,000 in the first three races. These funds have been put to work in support of coffee women in the Democratic Republic of Congo and Ethiopia through local organizations on the ground. Read more about the grants here. Join us again this year at South Lake Union Park for fun, camaraderie and a great cause! Get the Race Details here. REGISTER through the Global Specialty Coffee Expo registration process, or here. Set up a fundraiser or sponsor a runner/walker here. Join your friends, coffee colleagues and competitors for a fun run/walk – all for a great cause! The 2016 JavaJog coincides with the biggest coffee show ever to happen in Dublin, The World of Coffee. We expect more than 100 participants to join in the fun, and to help us raise more than $7500 for projects that support women in coffee producing communities. The race will take place on the scenic beach at Sandymount, just a short distance from the conference site, at 8:30am Saturday, June 25th. Set up a lively competition for the fastest runner, craziest costume, highest fundraiser – challenge your friends and colleagues to make this the biggest and best JavaJog event ever. At previous events in conjunction with SCAA Expos in Boston and Seattle (in 2013, 2014 and 2015), more than 200 runners and walkers have come together – and in total raised more than $75,000 for great causes. FUNDRAISE! DONATE! Set up your fundraising page, or donate – and check out our easy fundraising tips. The founders committee for JavaJog for a Cause, an annual event that raises money and awareness for women in coffee producing communities, announces that no official run will be held in 2016 in Atlanta, but has recommitted to holding the popular event again in 2017 in Seattle. Traditionally held in conjunction with the SCAA Annual Conference and Exhibition, JavaJog has raised more than $65,000 for women in coffee growing communities since it’s inception in 2013. Citing the increased logistics and cost of running the event in Atlanta, where the SCAA will hold its annual conference and exhibition in 2016, JavaJog organizers have made the decision to postpone the event until 2017, when the SCAA returns to Seattle. “We remain committed to raising awareness and money for women in coffee growing communities throughout the world. By holding off this year, and returning to Seattle in 2017, where the logistics to run and promote the race are already in place, and the costs associated with producing the event are less, we can ensure the beneficiaries of the race will receive maximum support,” explains Kimberly Easson, co founder of JavaJog for a Cause. The JavaJog organizing committee remains committed to producing another great fun run and fundraiser when the SCAA returns to Seattle in 2017. “By focusing our efforts on making the 2017 and 2018 runs in Seattle bigger and better, we are confident that our mission to connect women to the coffee community and funnel resources to projects that enable them to improve their position, their well-being and that of their families, farms, communities and organizations, will be met,” Easson added. “We want to thank all the runners, supporters and sponsors who have participated in JavaJog since its inception. With your support, women around the world have benefited from this great fundraiser,” said Easson. (January 26, 2105) – JavaJog for a Cause, an annual event that raises money and awareness for women in coffee producing communities, is scheduled to be held April 10, 2015 in Seattle in conjunction with the annual EXPO of the Specialty Coffee Association of America (SCAA). This year’s event, the third race, will benefit women of Ethiopian coffee producing communities, and will provide individuals, teams and corporations the opportunity to contribute to improve livelihoods of women within these communities. “We chose to focus on Ethiopian women this year to tie to the SCAA’s Portrait Country promotion. Ethiopian coffee is among the most sought-after coffees in the world – and although women play a central role in assuring its quality, especially on the farms and at the processing centers, they remain very much behind the scenes. Political turmoil, an influx of refugees and high rates of poverty have affected many Ethiopians and women bear the brunt; they suffer from high rates of genital mutilation, lack of education and domestic violence – many live without access to clean drinking water or medical facilities.” explained Beth Ann Caspersen, one of JavaJog’s founders. JavaJog 2015 will build off momentum from the 2014 run, which raised more than $35,000 for the women of the Democratic Republic of Congo. The goal of the 2015 event is to welcome more than 300 runners and walkers, who will raise money for the cause individually or as a team, helping reach the goal of $45,000. Funds raised will be invested in organizations that work locally to address issues facing Ethiopian women in a variety of areas: among them, health, productivity, training, leadership and advocacy. JavaJog organizers are working with coffee partners on the ground in Ethiopia, targeting potential recipients for this year’s funds. Key groups will be invited to submit proposals, which will be reviewed by an independent committee. Reports of the use of the funds will be given to JavaJog and be made public on the JavaJog website. Sponsorship of JavaJog 2015 provides companies with a unique opportunity to lead the charge in raising money for the Ethiopian women communities while promoting their brands in one of the newest, most exciting coffee events. Sponsorship levels include: Platinum ($5,000); Gold ($2,500); Silver ($1,00); and Product Sponsors. Java Jog for a Cause was established early in 2013 by Kimberly Easson, Beth Ann Caspersen, Aimee Russillo. The Founders’ Run was held in Boston with 15 runners and raised $7500, which was donated to the women’s committee of the Sopacdi farmer’s cooperative in South Kivu, DRC. 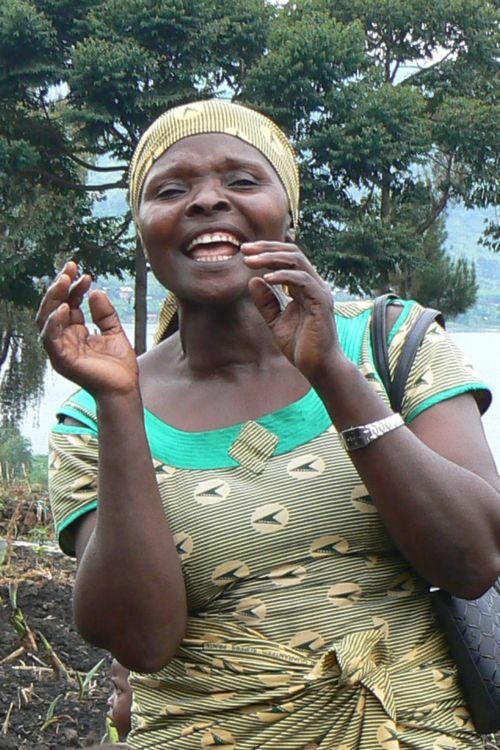 JavaJog 2014 benefitted coffee-farming women in the Democratic Republic of Congo. To sign up for this year’s run, or to support the cause, visit the JavaJog Crowdrise site. To learn more about the cause, visit JavaJog.org. For more information about the race, or sponsorship opportunities, please email javajog@gmail.com. 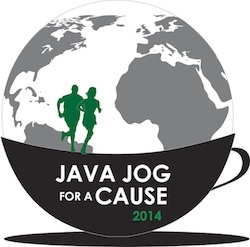 August 24, 2014 – JavaJog for a Cause, an annual event that raises money and awareness for women in coffee producing communities, announces its 2014 Grant Recipients. A total of $35,000 has been allocated to three organizations working in the Eastern Democratic Republic of Congo (DRC): The DRC Chapter of the International Women’s Coffee Alliance, The Eastern Congo Initiative, and Virunga Coffee. Nearly 200 runners came together this past April for the 2nd Annual JavaJog 5K/10K Race in Seattle, raising more than $35,000 in funds for coffee women in the Democratic Republic of Congo. Another smaller race held in conjunction with the annual SCAE conference raised an additional $300 for the cause. The awards were allocated through a rigorous 2-part evaluation process. In late June, the JavaJog Grant Review Committee evaluated proposals. The Committee’s recommendations were then provided to the JavaJog Advisory Committee for final approval and awarding of the grants. The Eastern Congo Initiative (ECI), which will receive $11,500 for Small Business Development for Congolese Cooperatives. The eastern region of Democratic Republic of Congo has enormous potential to produce specialty coffee. Today, with peace and a bright economic outlook, Congolese coffee farmers are driven to increase the quality of their production to provide the international marketplace with specialty Congolese coffee. ECI and the Kahawa Bora Ya Kivu (Fine Coffee of Kivu) coffee project work with three cooperatives, investing in business development throughout the entire value chain. Through JavaJog’s grant, 30 cooperative members will have the chance to travel to successful cooperatives in East Africa, learning from different business models, which can be applicable in DRC, forming strong businesses that can reliably provide quality coffee. The DRC chapter of the International Women’s Coffee Alliance will receive $20,000 to support 750 women coffee growers of Lubarika and Ndolera village, and Uvira Territory who struggle daily to establish their rights and position within society. The grant money will be used to purchase equipment and provide infrastructure support for processing and packaging of coffee, which will help the women further meet their goal of establishing their rights and position within society through economic empowerment. Virunga Coffee Company will receive $3,500 for efforts to improve working conditions for women, specifically supporting the improvement of conditions for the women who sort coffee by hand. Typically, throughout most African countries, thousands of tons of coffee beans are hand sorted by women working for a few dollars per day, often in very basic working conditions. 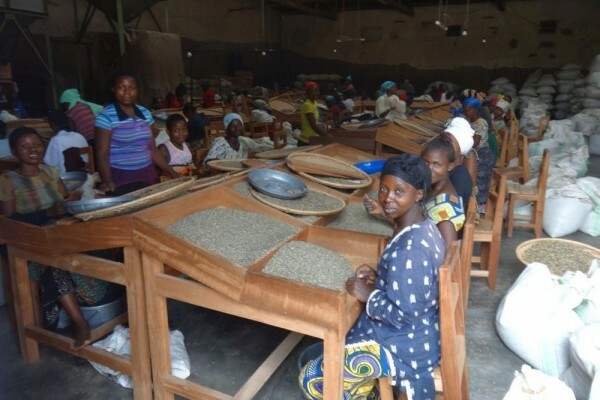 Through this grant, Virunga Coffee will make initial investments in the infrastructure, and provide these women in the DRC with a higher salary, a free lunch, and better the working environment which will include new tables, stools and good lighting. JavaJog 2014 was made possible through a network of volunteers as well as many generous sponsors. Platinum Sponsor for JavaJog 2014 was Westrock Coffee Company, which provides global export opportunities and purposeful employment to partners at origin. Equal Exchange, Baratza and Equator Coffees & Teas provided Bronze Level support, and Roast Magazine served as the Media Sponsor. A number of product sponsors, included Theo Chocolate, Bonavita, Espro and SCAA. Coffee served at the event was from Caffe Vita and Herkimer Coffee. Plans are underway for the 3rd Annual Race to take place in Seattle, April 10th. JavaJog 5K Fun Run at SCAE in Rimini! JavaJog makes its European debut with a 5K Fun Run in conjunction with the annual conference of the Specialty Coffee Association of Europe (SCAE)! Runners and walkers will gather at the Fountain at the Piazzale John F Kennedy (in front of the Hotel Best Western La Gradisca) for a 5K course through several parks toward Lake Mariotti. For the informal run/walk, participants are asked to make a voluntary donation of 20 Euros which will go to the fund for coffee women in the Democratic Republic of Congo. Rimini JavaJoggers will be recognized as Founders of the European run at future SCAE conferences. JavaJog’s first run was at the 2013 SCAA conference in Boston, where 15 Founders including SCAE’s Drewry Pearson braved biting winds to raise awareness and funds for coffee women in the Eastern DRC. The first race raised more than $7500 which was awarded to the women’s committee of the Sopacdi farmers cooperative. The second JavaJog race April 25th in Seattle brought together more than 175 runners and walkers and raised more than $35,000 which will be awarded to organizations working in coffee producing communities in the Eastern DRC. Donations were still coming in three weeks after the Seattle JavaJog, bringing the total amount of contributions to $35,235 after expenses. Top fundraisers Elizabeth Goldblatt of Six Degrees Coffee, and Willem Boot of Boot Coffee were neck and neck in their fundraising up to the day of the race and continuing into the ensuing weeks. In the end, each raised more than $3000 for the cause. Other top fundraisers included Susan Heller of Atlas Coffee, Twin, Wendy De Jong, and Team SCAE. In all, more than 500 individuals and companies from around the world made donations in amounts ranging from $10 to $1000. All sponsorship funds and registration fees, over and above expenses, will be used to fund initiatives on the ground. 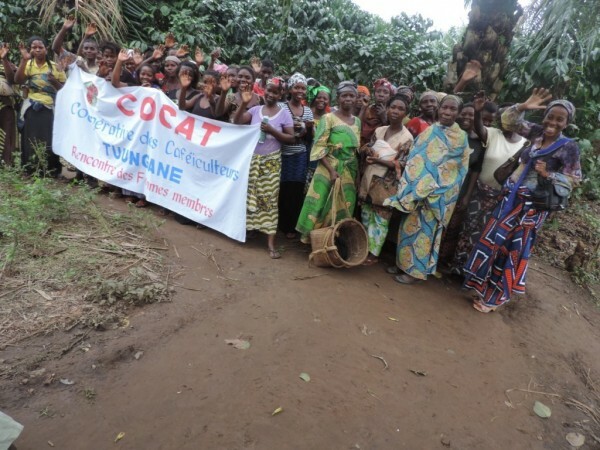 JavaJog’s focus now turns to funneling the money to the coffee women in the Democratic Republic of Congo (DRC). A Request for Proposals has been sent to several organizations working in the region, and is also open for other organizations interested in applying. Applications may be submitted through June 25th, and selected recipients will announced before the end of July. JavaJog expects fund to be disbursed for use in early August, with brief impact reports to be submitted every two months. Protocols which govern the granting procedures are available here. Details of the grants and their progress will be available online so that they can be shared with the many participants in the race and supporters of the cause. JavaJog 2014 Results Are In! We are pleased to announce this year’s winners for the second annual Java Jog for a Cause, held Friday morning, April 25 in Seattle’s Lake Union Park. More than 180 runners lined up on a beautiful Seattle morning for the fun run. This year’s race brought in more than $34,000 for the cause, surpassing it’s $30,000 goal for coffee women in the Eastern Democratic Republic of Congo. Below are the top three winners for each of the 5K and 10K women’s and men’s finishers! Full results here. Congratulations to them and to all of the JavaJog finishers! We look forward to seeing you again next year in Seattle. 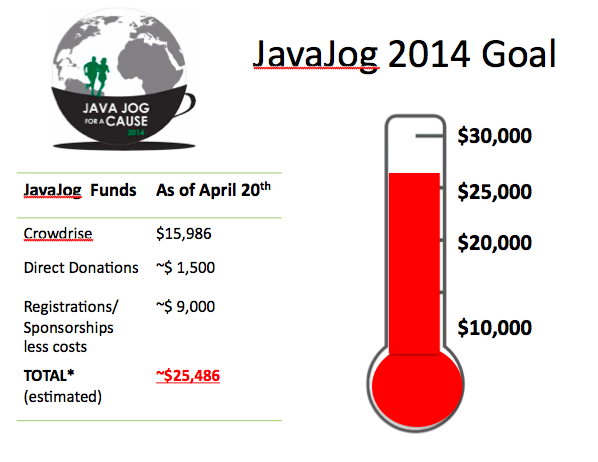 JavaJog 2014 nears $30K goal in final fundraising push! The Second Annual JavaJog is just 5 days away – and we’re so close to our fundraising goal of $30,000 for coffee women in the Congo! A number of fabulous teams and individuals are engaged in lively social media campaigning to spread the word and bring in donations. Teams from Twin, StoneCreekCoffee, Cafe Vita, Theo, Women in Coffee NW, Equal Exchange, Baratza, SCAE, Boot Coffee, Fairtrade Flyers, On the Ground, It Runs in the Family (from Iceland! ), Pueblo a Pueblo, and more…. Plus leading individual fundraisers are Wendy De Jong, Liam Brody, Susan Heller, Emi Kamura, Elizabeth Goldblatt, Kate Fischer, Kelly Goodejohn, Laura Everage and many more! Big thanks to everyone… keep up the great work through Friday!!! Check out the numbers below ~ very exciting. JavaJog participants have spent weeks training and fundraising for coffee women in the Congo. Now, on race day, April 25th, the 150+ participants will proudly sport fair trade organic t-shirts from FairTri™. Provided by Tri4Freedom, a group committed to raising awareness about the global extent of human exploitation and empowering survivors and marginalized communities by promoting social and environmental sustainability in sport. FairTri™ T-shirts, made by Freeset Global in India, a women-owned business that brings freedom to survivors of human trafficking. The shirts are made by a group of women in India who have been given a chance to empower themselves in a life free from slavery. More than 27 million people are currently enslaved around the world. JavaJog for a Cause brings together the coffee community for a fun and fitness event that benefits a great cause, raising funds to invest in community-based efforts to improve the quality of coffee and the lives of the people who produce it, with a particular focus on women. This year’s fundraising goal is $30,000, which will be invested in women’s coffee groups in Eastern Congo, South Lake Kivu region. 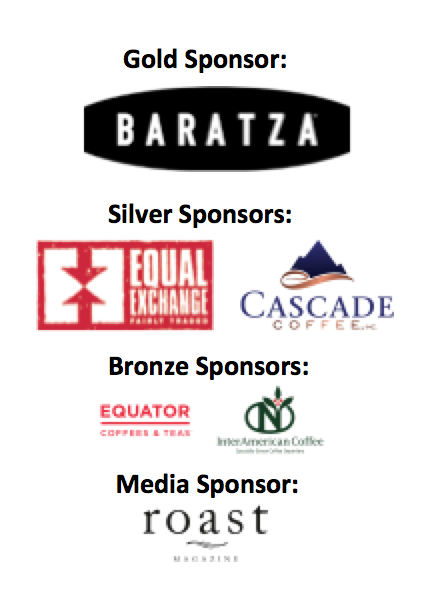 Sponsors for JavaJog 2014 include Westrock Coffee Company (Platinum Sponsor), Equal Exchange, Baratza, Schluter and Equator Coffees & Teas are providing Bronze Level support, and Roast Magazine is serving as the Media Sponsor. A number of product sponsors, including Theo Chocolate, and Kind Bars round out the current sponsorship lineup for JavaJog 2014. To learn more about JavaJog for a Cause, visit JavaJog.org; or to donate to runners/walkers, visit the JavaJog Crowdrise site. To learn about FairTri’s mission to introduce triathletes to superior quality products that bring freedom to people around the world, including t-shirts and coffee, visit FairTri.org. We regret that given the overwhelming response to this year’s race, after April 1, we are no longer able to guarantee a t-shirt for every runner. Great incentive for registering early for next year’s event! JavaJog for a Cause organizers welcome 2014 sponsors for the second annual run/walk to benefit the coffee-farming women in the Democratic Republic of Congo. Westrock Coffee Company, which provides global export opportunities and purposeful employment to partners at origin, has signed on as Platinum Sponsor for the event. Equal Exchange, Baratza, Equator Coffees & Teas, and Schluter Coffee are providing Bronze Level support, and Roast Magazine is serving as the Media Sponsor. A number of product sponsors, including Theo Chocolate, round out the current sponsorship lineup for JavaJog 2014, which will be held April 25, 2014 starting in Seattle’s South Lake Union Park. “We are grateful to all our sponsors for this year’s race,” says Kimberly Easson, co-founder of the event, which was launched in early 2013 by Easson, Beth Ann Caspersen, and Aimee Russillo as a way to bring together fun and fitness in the coffee community – all to benefit a great cause. “With their generous support, we are able to bring the race to Seattle, and help us reach our goal of $30,000. JavaJog is still welcoming additional sponsors and runners for the event,” she adds. “The support from our sponsors – Westrock, Equal Exchange, Baratza, Equator Coffees & Teas, and Roast Magazine – will go a long way in helping us raise awareness and funds for the women in coffee farming communities in the Democratic Republic of Congo,” explains Easson. For more information about our sponsors, visit Westrock Coffee Company, Equal Exchange, Baratza, Equator Coffees & Teas, Schluter Coffee and Roast Magazine websites. As the world celebrates International Women’s Day, March 8, we celebrate the triumph of spirit of women from around the world, especially those in Eastern Democratic Republic of Congo, and realize that their fight for economic and social freedom continues. In the past decade, violence, poverty and disease in the Democrati c Republic of Congo have claimed the lives of over 5 million men, women and children. Despite democratic elections and multiple peace agreements, the eastern region is still impacted by conflict—more than 1.3 million people are not able to return to their homes. Through the tragedy, hope still shines in the coffee farming villages along Lake Kivu in the Eastern DR Congo. Coffee trees are coming back to life — a reflection of the enduring force of nature and the indelible human spirit of those tending to them. Yet the uncertainly and threat remains. Every day, the women in Eastern Congo face continued obstacles to their ongoing recovery, as it is one of the most violent and difficult places to be a woman. Whether they are a farmer of coffee or a staple crop, these women continually struggle to find the means to get by and to care for their families. In an effort to support the recovery of these communities, the second annual JavaJog will be held April 25th in Seattle in conjunction with the Specialty Coffee Association of America’s Annual Conference and Exhibition. JavaJog, which brings together the coffee community for a fun and fitness event that benefits a great cause, will raise funds to invest in community-based efforts to improve the quality of coffee and the lives of the people who produce it, with a particular focus on women. On Friday, April 25th more than 100 coffee industry professionals will gather at South Lake Union Park in Seattle, WA for the second annual JavaJog 5K (and 10K). • Raise funds to invest in community-based efforts to improve quality of coffee and the lives of the people who produce it, with a particular focus on women. Several coffee-community businesses have signed on to help raise awareness and money for the women in Eastern Congo, joining together with JavaJog in its efforts to reach this year’s goal of $30,000. Westrock Coffee based in North Little Rock, AR, has signed on as Platimum Sponsor of JavaJog 2014. Other sponsors include Equal Exchange, Baratza, and Roast Magazine. In addition to company sponsors, each participant in JavaJog 2014 will raise money for the cause. Runners and walkers have set up fundraising campaigns on the JavaJog Crowdrise site, and are reaching out to their own networks to spread the word and garner support. Prizes will be awarded to the top fund-raisers. Last April, at the Specialty Coffee Association of America (SCAA) Annual Conference and Exhibition in Boston, fifteen runners raised $7,326 for the women’s committee at the Sopacdi cooperative in the Kivu region of Congo. The women have invested the funds to make a difference in the lives of women not only from the coffee cooperative, but more broadly for women impacted by the ongoing violence. Half of the funds were invested to implement specific income generating activities, including small portable mills and a boat engine to provide transport services to the community. Profits from the project have been transferred to a microcredit and savings institution based in Minova. The other 50% of the funds was donated to local health centers around Minova who regularly attend women affected by sexual violence. Funds from Java Jog 2014 will be invested through Sopacdi and other community based organizations working in the region through the Eastern Congo Initiative. Please join JavaJog and its sponsors in our efforts to bring caring industry professionals together in solidarity with women in the Democratic Republic of Congo – to understand, to advocate and to do more – together. This International Women’s Day, join together with JavaJog in support of these women. Visit JavaJog.org to participate. To support runners and walkers, head on over to Crowdrise. For sponsorship opportunities, please email javajog@gmail.com. Here is all you need to know to set up your fundraiser!